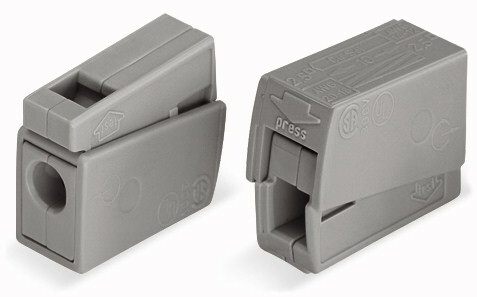 224 Series Lighting Connectors connect solid conductors with fine-stranded conductors. 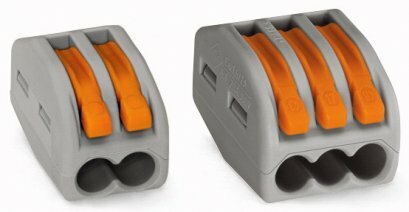 The 224 Series is the ideal connection between solid and fine-stranded conductors. 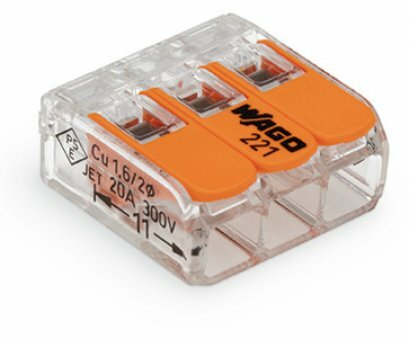 This program includes the lighting connector (for easy lighting connection), the 2-conductor lighting connector (for easy lighting connection with connection of the installation side) and the service connector (for easy connection of all conductor combinations “s” and “f-st”). 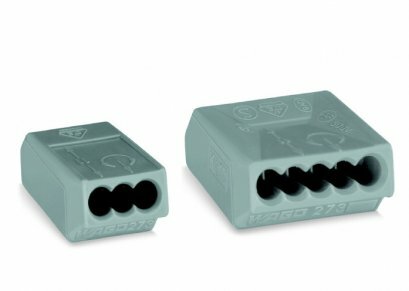 Due to their approval as independent equipment according to EN 60998, the lighting connectors of the 224 Series can be used in nearly all electrical connections where a connection between solid and fine-stranded conductors is required for household and similar purposes in buildings. Applications can be, for example, automated blinds or awnings, window or bathroom fans, boiler controller, tight connections of electrical devices with stranded conductors, circulating pumps etc. Quick, push-in connection of solid conductors at the installation side. 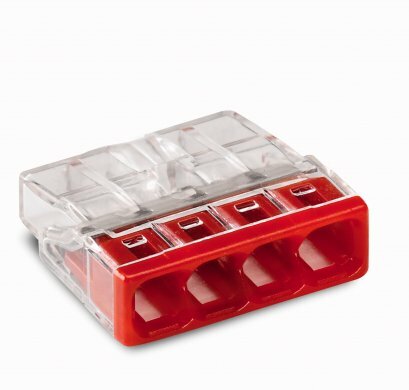 Quick and easy connection of fine-stranded conductors at the lighting side by pressing the block together, without the need for any tools. Quick, easy testing using a separate test slot. Ideal, user-tailored combination of connection systems that have proven themselves in decades of use with different conductors. Does away with the need for tools in clumsy positions, either at hard-to-reach places or overhead. Special high-temperature design for applications with increased continuous service temperatures.